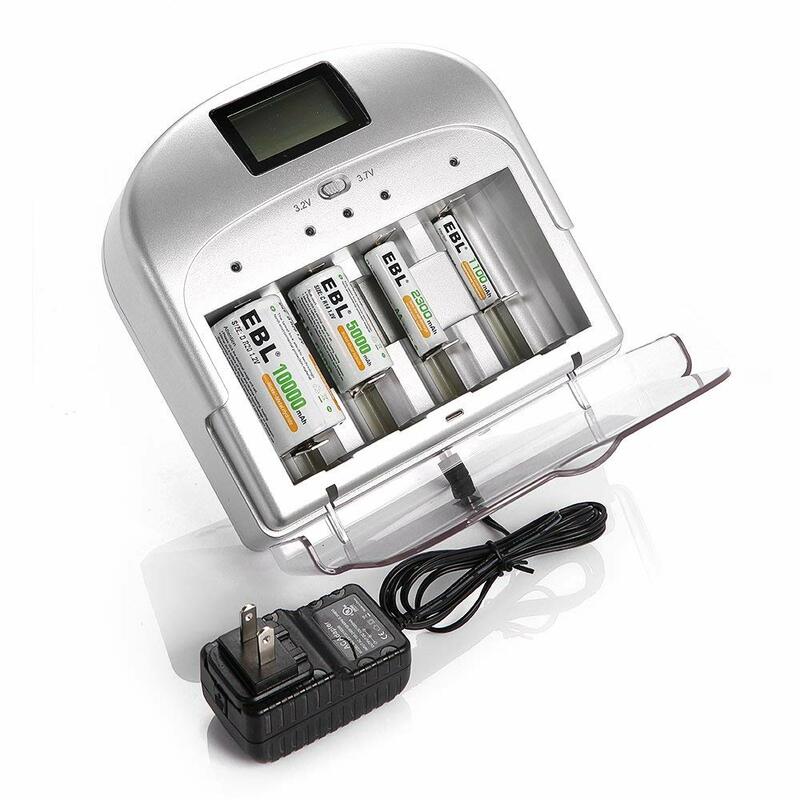 This smart charger can charge AA/AAA/C/D/ Ni-MH/Ni-CD rechargeable batteries, 9V rechargeable batteries and cylindrical li-ion batteries. 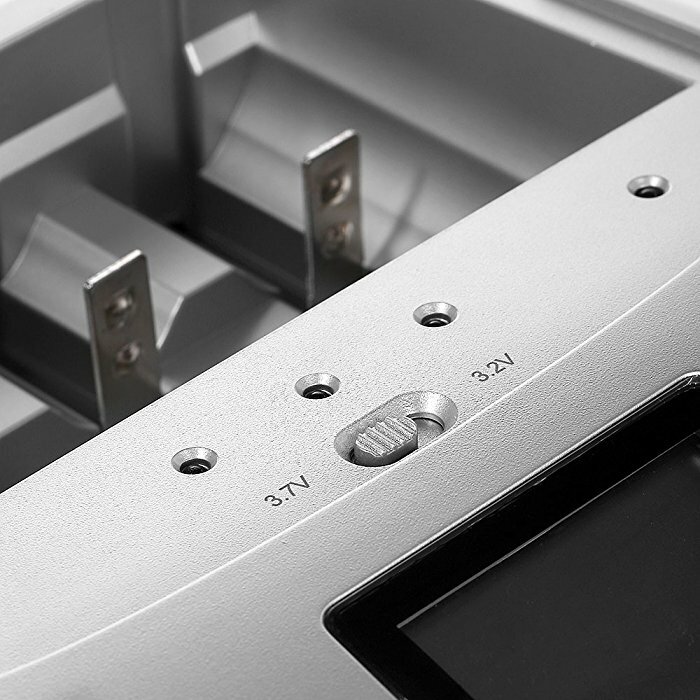 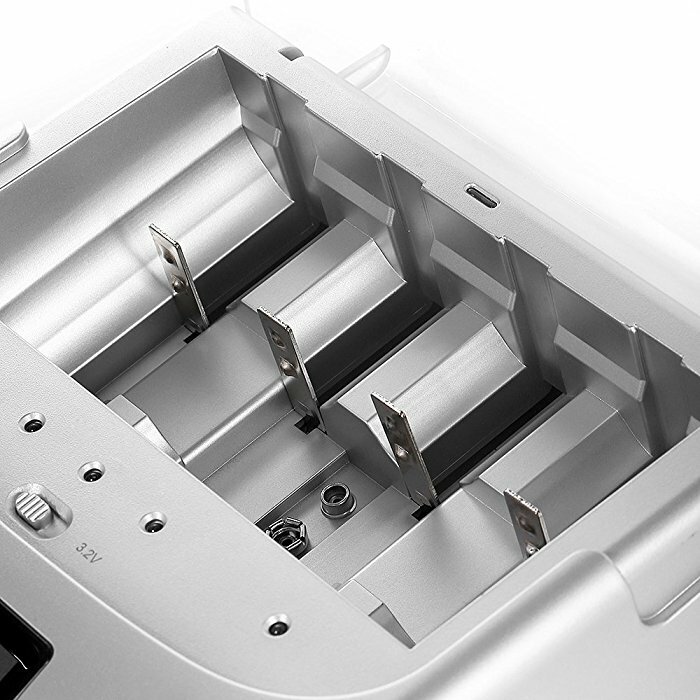 Micro processor monitors each charging bay individually allowing batteries to be charged in groups or singly, which is visibly of great convenience. 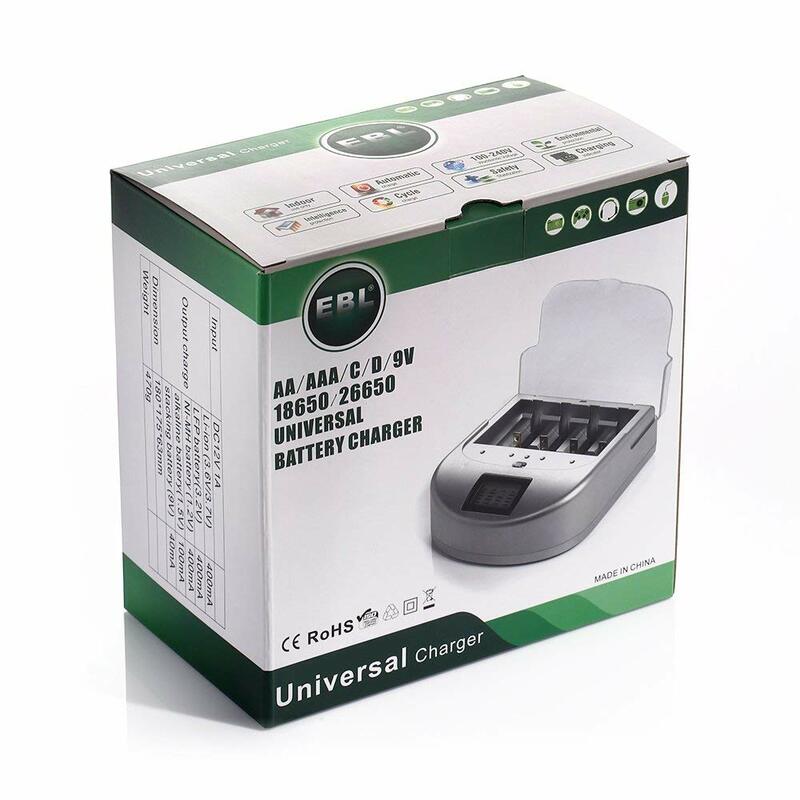 With negative delta V (- ∆V) cut-off function (except for 9V batteries), safety timer control for overcharge protection, short circuit protection, and non-rechargeable/bad cell detection, the charger safety is utterly guaranteed. 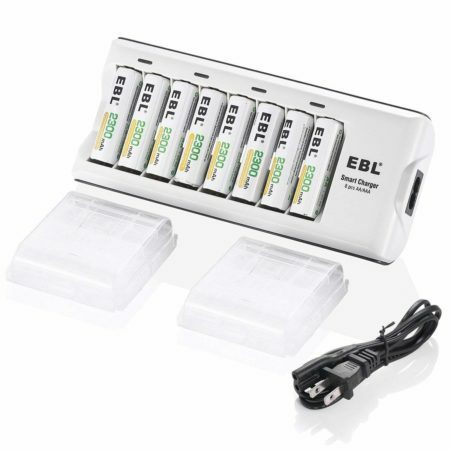 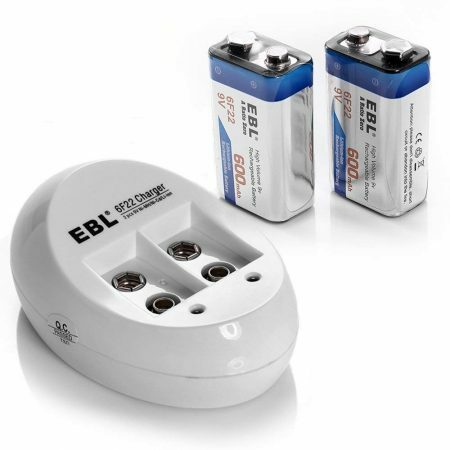 The charger can be widely used for different types of batteries: AA,AAA,C,D,9V,18650,26650 rechargeable batteries. 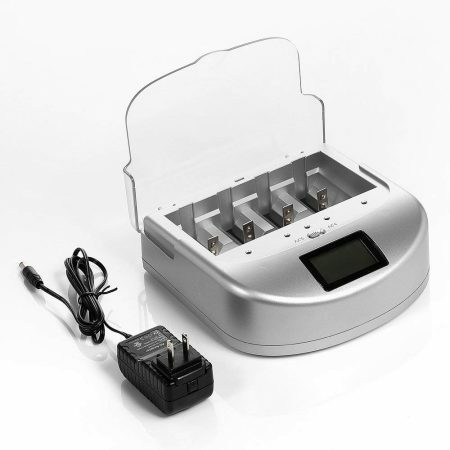 And the charger supports input voltages ranging from AC 100-240V 50/60Hz 0.3A MAX. 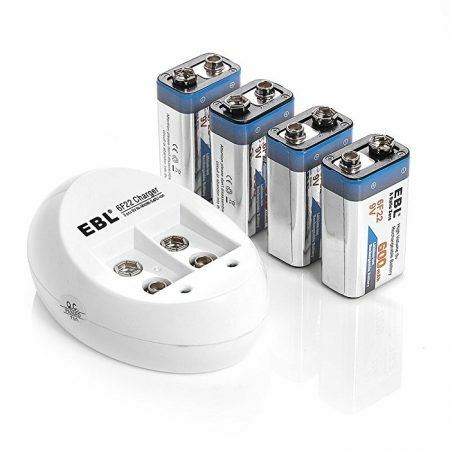 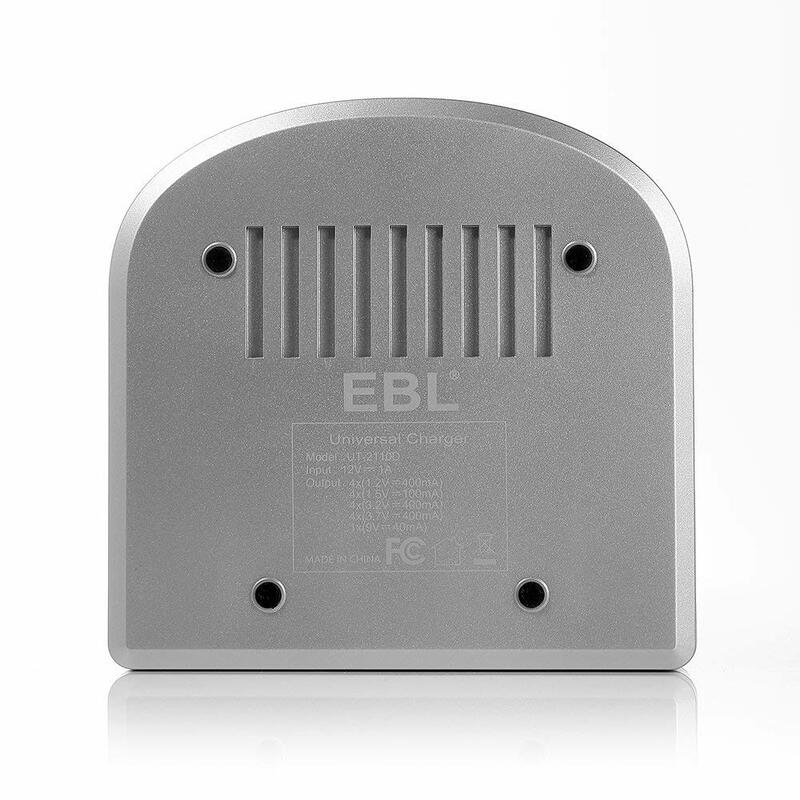 It can be used all over the world for its application to worldwide voltage. 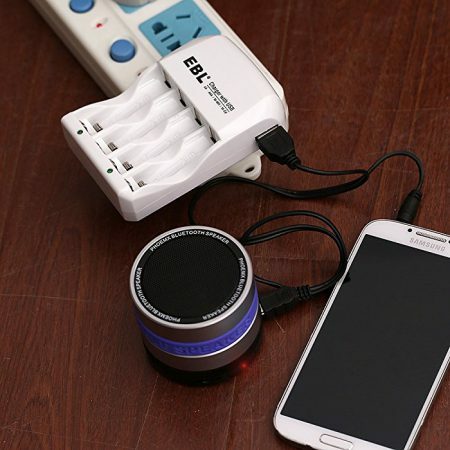 This smart charger can charge one single or multipe batteries at a time conveniently. 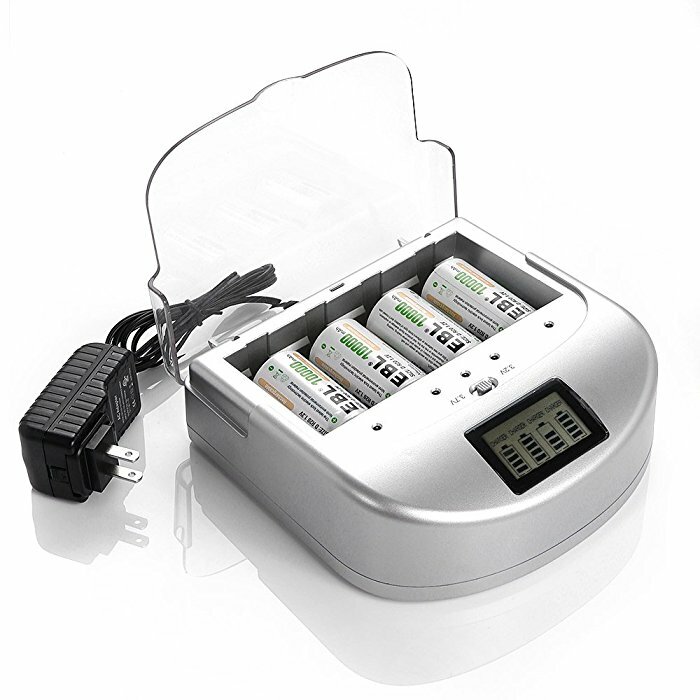 Both LED indicators and LCD display clearly show the status of each battery’s charging cycle. 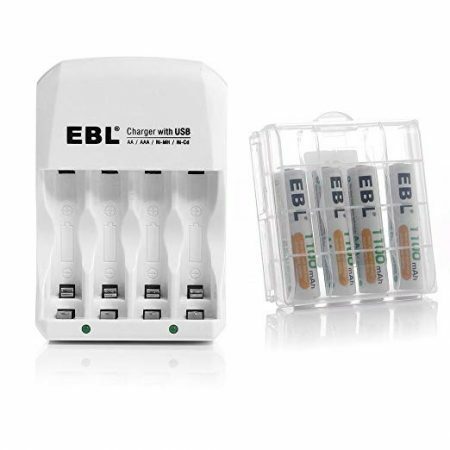 LCD shows “charger” when charging (LED turns RED), and shows “OK”‘ when fully charged (LED turns off).